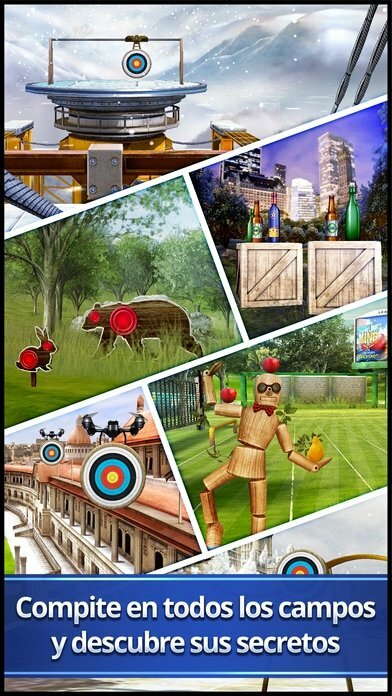 If you've always been a Robin Hood fan, not for stealing from the rich to give to the poor, but due to his great shooting skills with the bow and arrows, this Archery King for iPhone and iPad can be the game you were looking for for your mobile device as it intends to be the best archery game in the world. 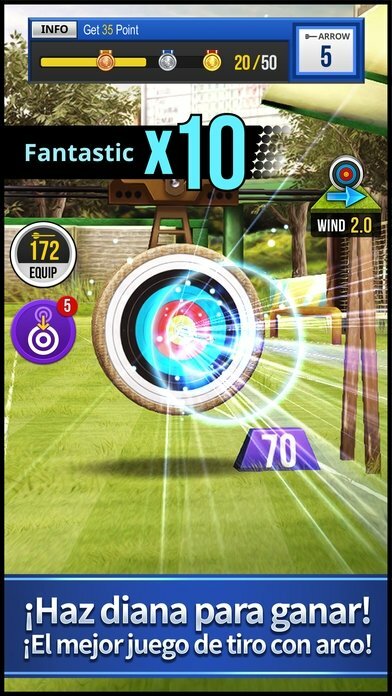 That may be a rather high shot, but the truth is that this app that has already been a hit on Android with its APK now arrives on iOS to continue captivating all those gamers that love Olympic sports in which they have to prove their shooting skills, tempered nerves, and a steady hand. 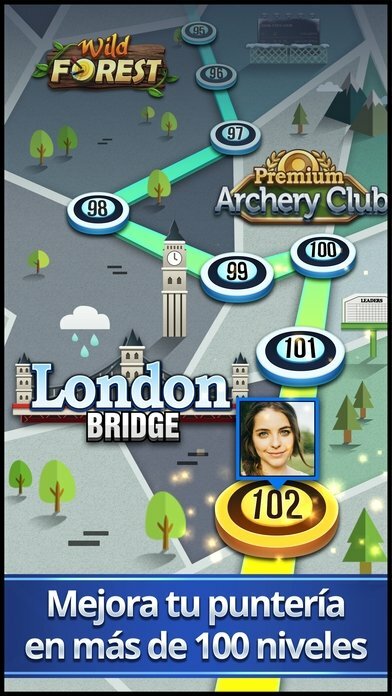 One of the strong points of this game is its great competitiveness in which you'll have to face up against continuous challenges, both in its online and offline mode, to put your skill with the bow and arrows to the test. Thus, every day you'll face up against new challenges with the intention to defeat your rivals and climb to the top of the world ranking. 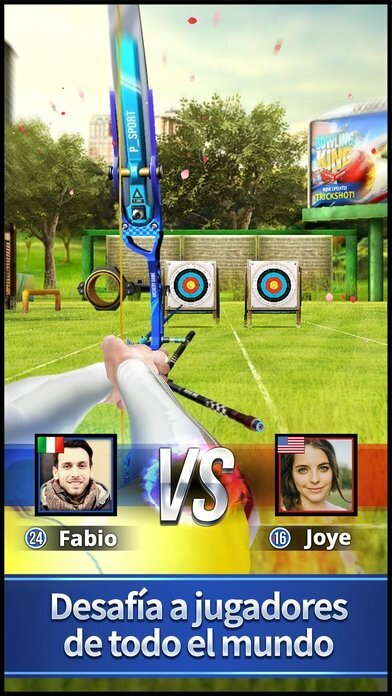 One on one battles against rivals from all over the world. 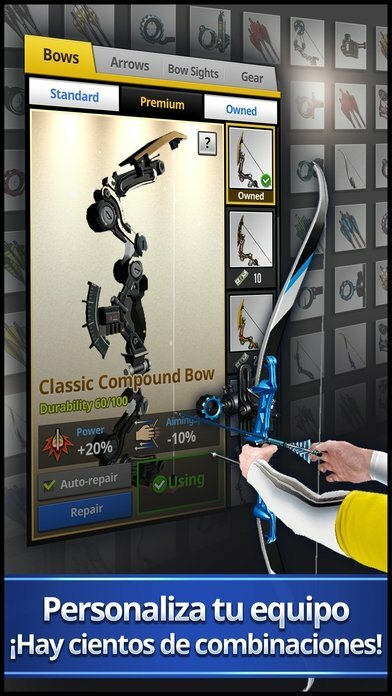 On the other hand, it also stands out for the customization that we can apply to our bow and arrows, as well as the wide range of different scenarios and targets that we can try to hit with our weapons.